This book is based on the syllabus of ISTQB Agile Tester Extension Certification version 2014. 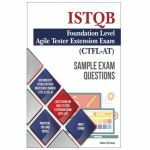 The book is designed in an easy to follow format so every reader can get clear understanding of the subject and prepare for the ISTQB Agile Tester exam. Every section contains a summary and quiz so readers can test what they learned and use this book as a quick reference before the exam. 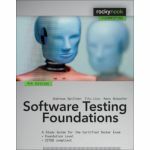 This book is perfect for Agile testers wanting to enhance their knowledge of Agile Testing, especially based on the ISTQB syllabus. 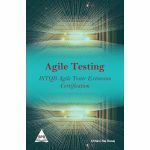 After reading this book testers will know what it really means to be an ìAgile testerî. The certification for Foundation Level Extension  Agile Tester is designed for professionals who are working within Agile environments. Learn how to analyze the system, taking into account the user’s quality expectations. Additionally, learn how to evaluate system requirements as part of formal and informal reviews, using an understanding of the business domain to determine requirement validity. 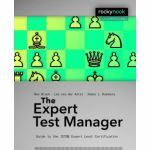 You will be able to analyze, design, implement, and execute tests, using risk considerations to determine the appropriate effort and priority for tests. You will also learn how to report on testing progress and provide necessary evidence to support your evaluations of system quality. Graham Bath's experience in testing spans over 25 years and has covered a wide array of domains and technologies. As a test manager, he has been responsible for the testing of mission-critical systems in spaceflight, telecommunications, and police incident-control. Graham has designed tests to the highest levels of rigor within real-time aerospace systems such as the Eurofighter military aircraft. Andreas Spillner is a professor of Computer Science in the Faculty of Electrical Engineering and Computer Science at the Hochschule Bremen (University of Applied Sciences), where he is responsible for software engineering, quality assurance, and programming. Graham Bath's experience in testing spans over 25 years and has covered a wide array of domains and technologies. As a test manager, he has been responsible for the testing of mission-critical systems in spaceflight, telecommunications, and police incident control. Graham has designed tests to the highest levels of rigor within real-time aerospace systems such as the Eurofighter military aircraft.